Kamil Kaluski, a.k.a CarGuyDad, was cruising around Boulder, Colorado with his daughter when he spotted a sign emblazoned with "Auto Museum." 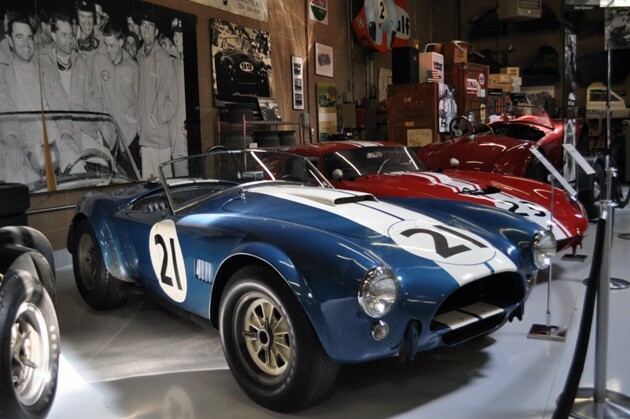 Not expecting much, he was a surprised to find this particular museum was actually home to the Shelby American Collection. Stepping into the nondescript building, Kaluski and his young traveling companion were greeted by the sight of Cobras, Mustangs, GT40s and a few other very special hunks of iron. Some of those "other" vehicles include a Falcon wagon used as a Shelby parts hauler/tow vehicle and a Ferrari raced by Carroll himself.